In his second Inaugural address on January 21, 2013, President Obama expressed the need to deal with climate change and clean energy. 1. Hold fossil fuel polluters accountable for their pollution. 2. Stop the rush of fossil fuel exports and reject proposals to import dirty fuels. 3. Double down on clean energy. 4. Protect communities from future climate disasters and prepare a robust and just response. 5. Protect our lands, water, and wildlife from the impacts of fossil fuel development and climate change. As a part of the President’s Climate Legacy campaign, the Sierra Club has kicked of “100 Days of Action on Climate and Clean Energy” to show the President that the time to act is now. 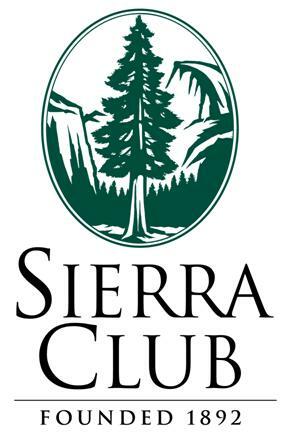 From his Inauguration to Earth Day, the Sierra Club will bring together its 2.1 million supporters through various local, state and national actions to demonstrate the urgency in climate and clean energy action. Events such as movie screenings, happy hours, marches, town hall meetings etc. are happening across the country to show strong support for action on the above goals. One of the largest events scheduled during the 100 Days of Action, is the Forward on Climate Rally in D.C. on February 17, 2013. The Sierra Club has partnered with 350.org to organize the largest rally in U.S. history in hopes of urging the President to take his first strong action: to reject the Keystone XL tar sands pipeline. For more information about the Obama Climate Legacy, download the Overview and Policy Solutions fact sheets. To create your own 100 Days of Action event, click here.